An avocado is, botanically, a large berry that grows on a tree that can reach 6 feet tall, and just like banana, it ripens 1-2 weeks after being picked. This fruit is classified in the same family as camphor and cinnamon. The oldest evidence of the avocado was found in a cave in Puebla, Mexico and dates back to around 10,000 B . Due to their impressive nutritional value, avocados are often referred to as the healthiest food in the world. They help our body absorb 5 times the amount of carotenoids (lycopene and beta- carotene). These amazing fruits are high in beta-sitosterol, and they can lower bad cholesterol by 22%, and raise good cholesterol by 11%. Also, it lowers blood triglycerides by 20%. They contain 23% folate which lowers incidences of heart disease and stroke. Also, they contain vitamin E, monounsaturated fats and glutathione which are also good for the heart. Folate is also essential in the prevention of birth defects, such as spina bifida and neural tube defect. Avocados also contain more carotenoid lutein than any other fruit, which in useful in protecting against muscular degeneration and cataracts. Polyphenols and flavonoids in avocados have anti- inflammatory properties. Glutathione found in avocados fights free radicals. Our blood and cells carry oxygen all throughout our bodies, and when we are exposed to environmental pollutants, these toxins change the oxygen in our mitochondria into free radicals, destroying our cells and DNA and creating chronic illnesses. Studies conducted by the Federation of American Society for Experimental Biology showed that glutathione in avocados can be absorbed into our mitochondria and then may neutralize free radicals. According to research, high oleic acid prevents breast cancer, inhibits tumor growth in prostate cancer and seeks out precancerous and oral cancer cells and destroys them. 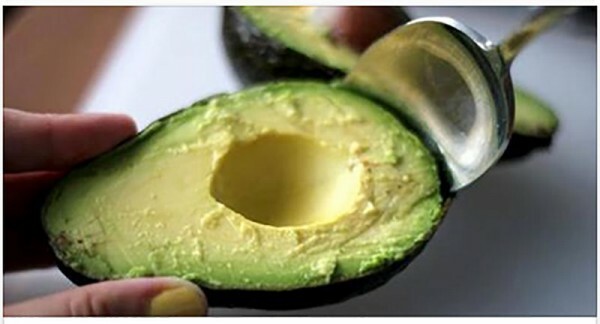 Avocado extract paired with soybean oil can reduce the symptoms of arthritis. Avocado oil greatly nourishes the skin and represents a beneficial treatment for psoriasis and other skin irritations. Avocados can help in the process of weight loss, as they are high in fiber and will help you feel fuller longer. High fiber helps metabolic health and steadies blood sugar.